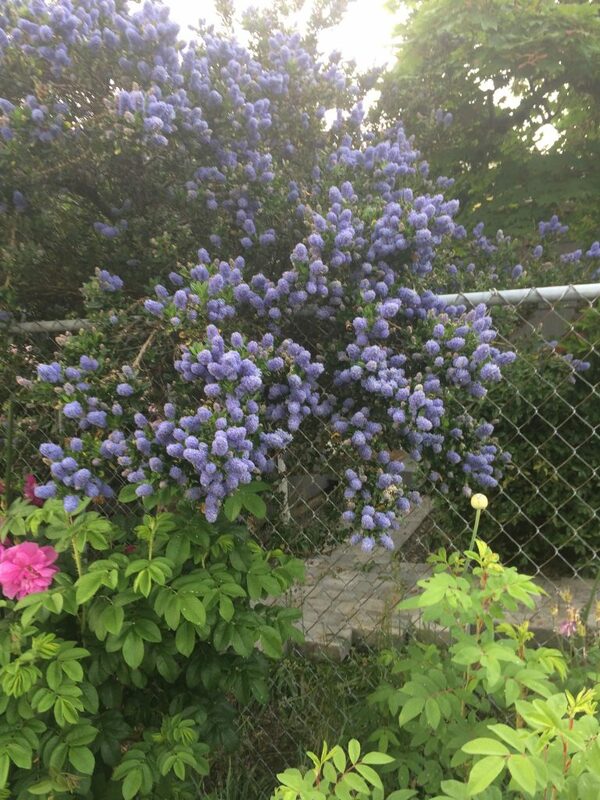 This is one of the most popular shrubs in western Oregon of the last two decades. And rightfully so. This wild lilac sports excellent cold hardiness, prolific flowers, and glossy handsome evergreen foliage year round. A strong growing shrub that can literally explode in growth in rich soil but is much more restrained in poorer mediums. Remember this when planting it. It performs the best in average, un-amended soils in full sun with regular summer water for the first season to establish and then none in subsequent years. 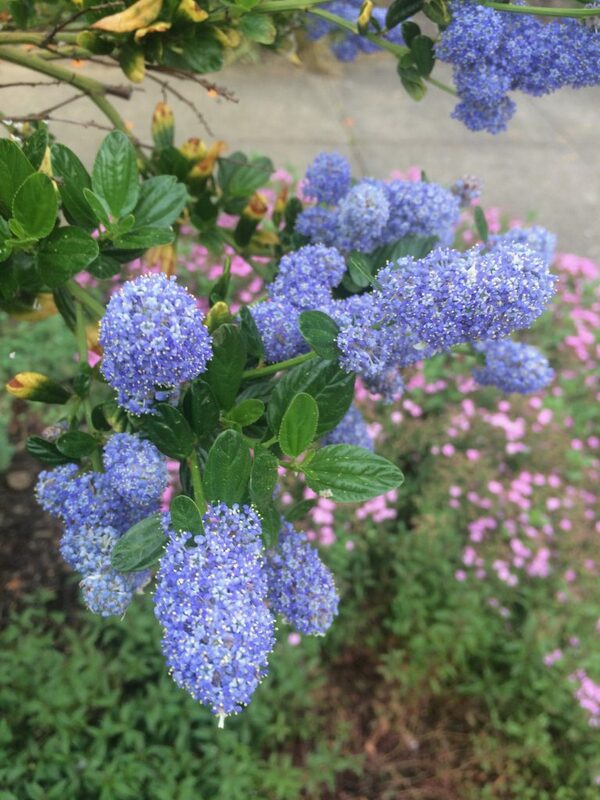 Sky blue flowers are profuse covering this dense shrub in a haze of color for 3-4 weeks in May to June. 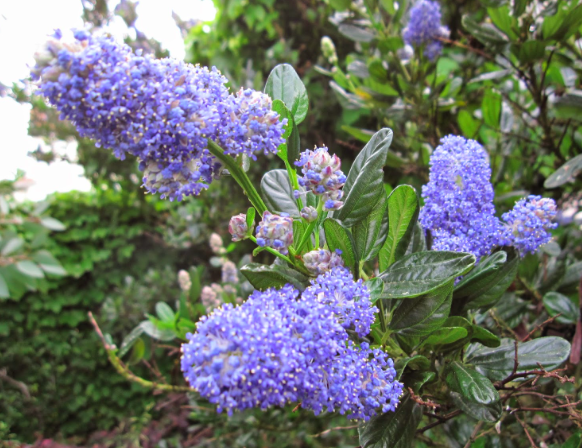 Later blooming that most other Ceanothus. This good looking shrub is so durable its made its way as highway verge mass plantings but it is just as stellar of a garden plant as well. Cold hardy to about 5ºF- it survived -5ºF in the southern Willamette Valley in 2013 by freezing to the snow line and then vigorously re-sprouting. 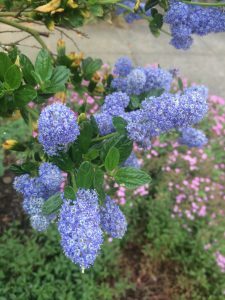 Durable, dependable Ceanothus. Avoid the summer heat + water that it abhors- it leaves it open to root water molds that can do it in and fairly quickly. Excellent shrub for the beginning gardener. Loved by pollinators of all kinds and is virtually rolling in bees during its fabulous bloom. NOT DEER RESISTANT. Most likely a hybrid with C. thyrsiflorus which must be responsible for at least half of its make up. Found in Victoria, Canada- hence the name. Likely it is the old cultivar ‘Skylark’ that was re-named upon its survival there of a hideous winter. The old name was forgotten and the glee of survival and discovery led to the renaming. To be clear ‘Victoria’ and ‘Skylark’ are exactly the same thing. Very fast growing to on average 8′ x 8′. Excellent with all west coast natives. Blooms simultaneously with yellow Halimiums. A fantastic floral and cultural combination.